You’ve probably heard the terms ‘man up’ or ‘woman up’ – but how about ‘puppy up’? That’s the origin of the name for the Puppy Up to Cancer initiative founded by the 2 Million Dogs Foundation. Through every Puppy Up walk, funds are raised to help with cancer research. Walks are usually led by human and canine survivors of cancer and often dogs who are infirm or who can’t walk for long distances participate by riding in wagons and carts. Dogs are often used in comparative oncology studies because their cancers have commonalities with human cancers. I think this is a great idea and since we have many dogs in New Zealand who also fall to cancer, fundraising in this way would be a way of contributing to the body of knowledge. This is a funny compilation of videos – when your dog is asleep, what do you think they are dreaming about? But on a more serious note, researchers have looked at brain activity when dogs are asleep. All the evidence points to the fact that dogs do dream. 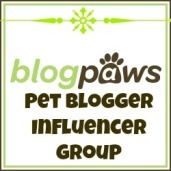 Read my post on Dog Dreaming. It’s official (again) – dogs yawn more often in response to their owners than to other people. 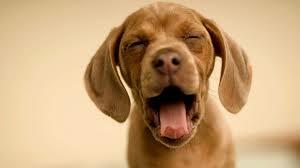 Last year, researchers in Sweden published research on contagious yawning in dogs. This year, researchers at the University of Tokyo have published additional research in the open journal PLoS One. Their research focuses on a ‘familiarity bias’ in contagious yawning by dogs. Pet dogs in the study watched their owner or a stranger yawn. They responded more in response to their owners than to the strangers. The researchers conclude that the dogs have an emotional connection to their owners, which is exhibited through empathy with the yawning movements. 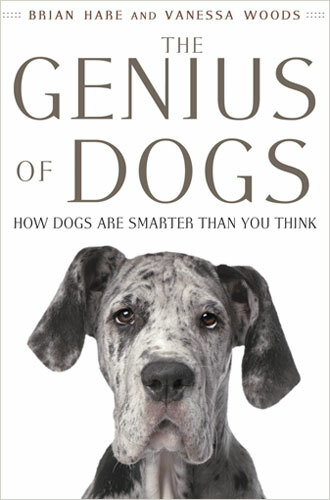 New research helps to confirm the cognitive abilities of our dogs. The study involved eight adult pet dogs who were trained by their owners with the ‘Do as I do’ method and then made to wait for short intervals (5-30 seconds) before they were allowed to copy the observed human action, for example walk around a bucket or ring a bell. The researchers observed whether the dogs were able to imitate human actions after delays ranging from 40 seconds to 10 minutes, during which time the dogs were distracted by being encouraged to take part in other activities. The researchers were looking for evidence of the dogs’ ability to encode and recall the demonstrated action after an interval. The tests show that dogs are able to reproduce familiar actions and novel actions after different delays ̶ familiar actions after intervals as long as ten minutes; novel tasks after a delay of one minute. This ability was seen in different conditions, even if they were distracted by different activities during the interval. Because dogs were able to reproduce the novel actions after a delay and without earlier practice, the researchers believe that dogs have a specific type of long-term memory capability – called ‘declarative memory.’ These are memories involving facts or knowledge which can be consciously recalled. This study is published in the journal Animal Cognition.